In this article let’s know how to recover damaged Excel file ? 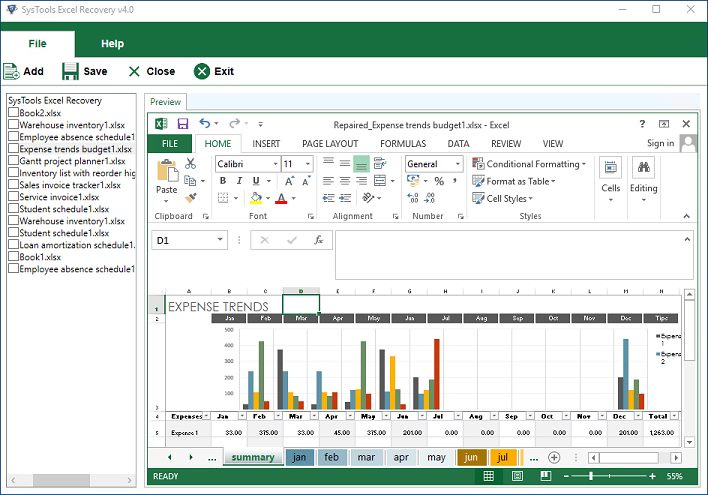 Many Excel users find themselves in a situation when the spreadsheet gets corrupt. Damaged Excel files usually fail to open and even after opening shows partial data. Since Excel files contain crucial data So, it’s important to recover damaged Excel file for the users. Open Excel and click on File>> Open. Go to the folder where the damaged file is located and select it. Select the arrow beside Open button and choose Open and Repair. Choose Repair for the maximum data recovery. If it fails, choose Extract Data option. Excel data should get retrieved. If above inbuilt MS Office Repair feature won’t work then, try to recover Excel files from Temp files. Follow the step by step procedure mentioned in the next method. If you have the auto-recovery option enabled, you can get back the data from the temp files. By enabling this option it’s easy to recover damaged Excel file. 2) Find out the temporary Excel file that ends with ‘.tmp’ and start with ‘$’ or ‘~’. 3) Copy and paste the file to another folder and change the extension to XLSX. If this solution doesn’t resolve your issue then, no need to worry. It’s obvious that recovery for Excel file is quite time-consuming if one is dealing with the bulk of XLSX files. But there are methods to resolve this issue as well. Try out this next method for damaged Excel file recovery. Due to the incompatible file extension, Excel application may consider it corrupt and not be able to open the file. This problem can be resolved by changing the Excel file format into .xlsx. Users can try to change the format of the XLSX file to recover damaged Excel file. Type File Explorer in the Search box of your Windows system. Select on the result to open that window. Click on View tab from the top. A list of options will appear in front of you. Click check the box beside File name extensions. This option will help you see the file extension of every single file. Navigate to the location of the damaged Excel file and check its extension. Now select that file and right-click on it. Choose the Rename option. The file name will get selected leaving the file extension. You have to replace the existing extension with .xlsx and hit Enter. Click Yes when prompted for confirmation regarding changes. Now, try opening the file again. It should get recovered and open without any problem. Sometimes, this method becomes less effective. So you can try other methods to recover Excel file. 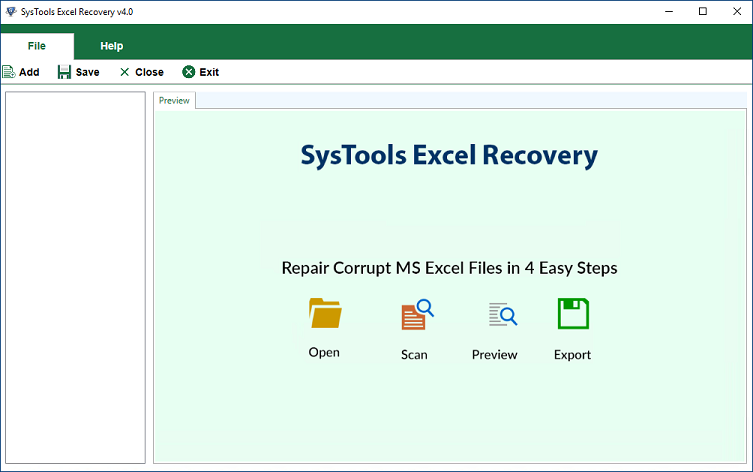 After trying above methods if you failed to recover and repair corrupted Excel files then, try this automated solution for the complete the recovery of excel files. Step 1: Start the tool and Add any number of corrupt Excel files. 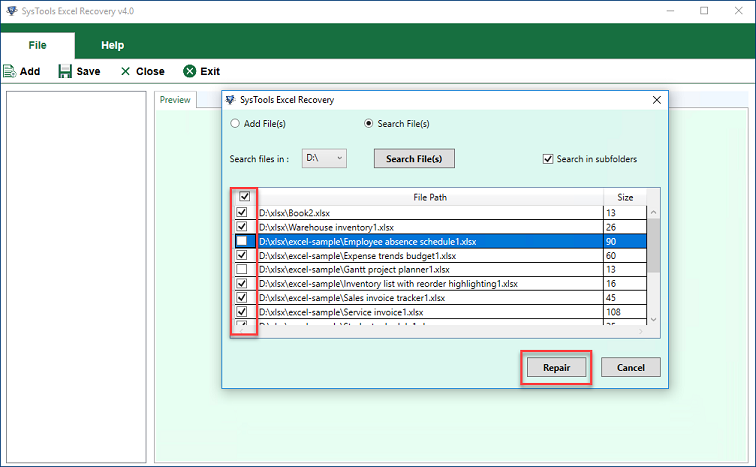 Step 2: The software will recover broken Excel file data and provide healthy files. 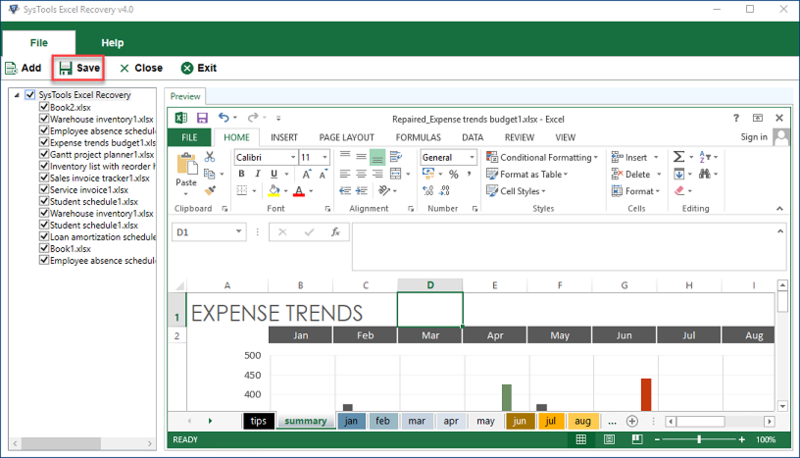 Step 3: Click on Preview to see all the components of Excel file. Step 4: To export the file is a secure location, click on the Save button. Try this automated solution with the free demo verion available on its official website. No doubt, this will provide you fast recovery of excel files. Also, it will help you to repair multiple Excel files at once. If you have tried numerous techniques to recover damaged Excel file 2010 and failed, do not get frustrated. Here, we have compiled some of the best methods to recover data from damaged Excel file. Users can try them and see which one works for them. If they are looking for a reliable and trusted solution to recover Excel file, Excel Recovery Tool is the best option in front of them.